“We regret the upload of the recent video on Malaysia. The video was developed locally by an agency and uploaded in error and the contents were NOT approved by Aegis Corporate,” according to Aegis Limited official statement. 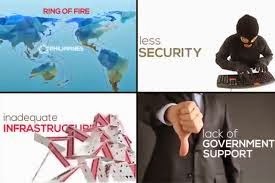 This is in reference to an offensive three-minute video that puts the Philippines into a bad light; criticizing the country’s vulnerabilities as a susceptible business environment not only for BPO (business process outsourcing) companies but also for international investors citing unstable infrastructures, lack of government support, natural calamities, and even security concerns which highlights Malaysia as a better countenance. It was Elcid Lao, a medical representative who shared the controversial promotional video of Aegis Malaysia on his Facebook account. The video caused berserk netizens to express their utter disappointments and became viral through a network-sharing frenzy. The mother company of Aegis Malaysia released an apology statement on Monday stating that it did not authorize the release of the offensive video advertisement that promoted Malaysia over the Philippines. The company shared its sentiments on how Philippines greatly played an important role in its growth and success since being acquired by People Support in 2008. “We would like to articulate that Aegis has had a wonderful experience in the Philippines – great clients, a great leadership team and above all great employees,” it said. Aegis Senior Vice President-Corporate Divya Dutta and Associate Vice President for Human Resource P. Ganesan personally went to the Philippine Embassy located in Kuala Lumpur on Wednesday to express their apology. They were received by Eduardo Malaya, Philippine Ambassador to Malaysia. The company’s execs apologized for the video ad, explaining they did not authorize the content of the derogatory video which questions the Philippines as a conducive business destination specifically for BPO companies, more so the release and uploading of it.